At Souvlaki we take pride in serving quality Greek specialties and unique pita wraps along side American classics with a slight twist. Greek cuisine includes spanakopita, tiropita, grilled pitas with cucumber sauce or hummus, and an all-time favorite Greek dessert, baklava! Try a pita pizza or one of our other specialty menu items including: gryos, souvlaki, and falafel. 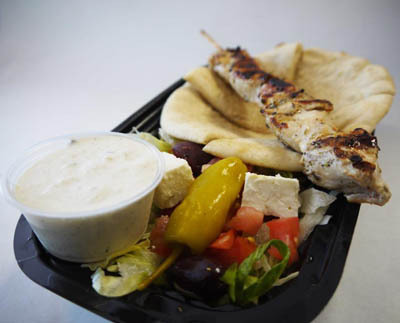 Souvlaki’s offers mouth-watering Greek salads, chicken salads, and “Super Subs” with vegetarian options to an excellent Philly cheese steak or chicken sub. 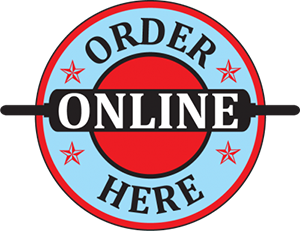 Check out the full menu for all of your options. Eat at the bar, mingle at a table, or take your food home with you – the choice is yours. If you eat-in, you can watch television with your meal or even play an arcade game. Be sure to purchase a souvenir t-shirt as well! Come and Taste Blacksburg’s best Greek cuisine and subs! New Souvlaki T-Shirt Designs Are In! !